Climate change protesters brought a bridge in London to a standstill on Monday and blocked major roads in the capital, kicking off days of planned civil disobedience events in cities around the world. More than a thousand people blocked off Waterloo Bridge and laid out trees and potted plants along its length, in the protests organised by campaign group Extinction Rebellion. Campaigners also daubed graffiti and smashed windows at the UK offices of energy giant Royal Dutch Shell, spraying the Extinction Rebellion logo on the walls along with “Shell kills”, “shame” and “lies”. Police officers detained suspects at the building while demonstrators held up a banner reading “fossil fuels are killing us” and placards saying “wanted for ecocide”. 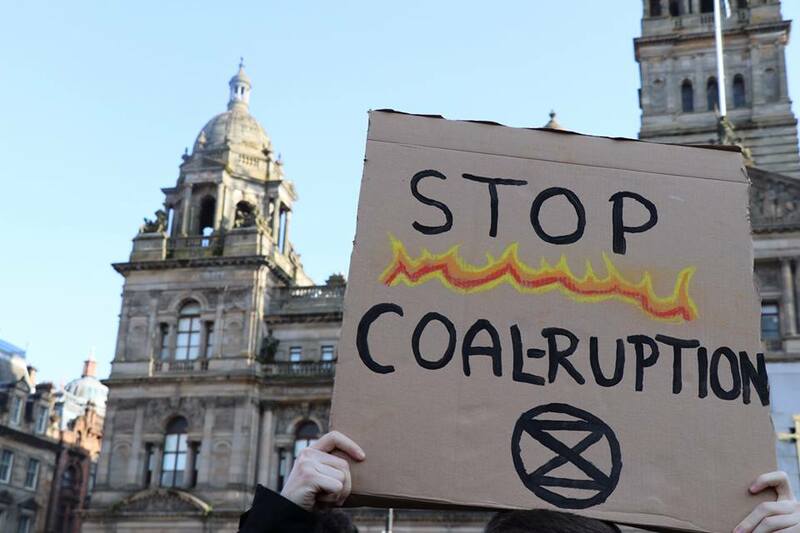 Extinction Rebellion started in Britain five months ago with the aim of pressing governments and other institutions to declare a climate and ecological emergency. They also want action to halt biodiversity loss, reduce greenhouse gas emissions to net zero by 2025 and be led by the decisions of new “citizens’ assemblies on climate and ecological justice”. “The aim is to contribute to an escalating series of acts of civil disobedience which bring about change,” said Larch Maxey, 46, a spokesman for the movement. “The plan is disruption and that disruption escalates until you get the attention of the people you are persuading to change,” he said.